IT BURNS!! AHHHH IT BURNS!! Screams you'll hear often in this game. 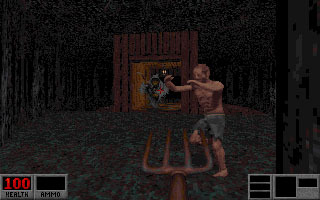 A dark game, with a strange brand of humor. 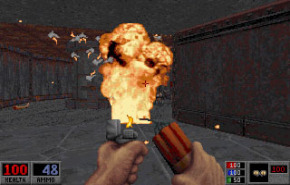 Blood uses the Duke Nukem 3D "build" engine. This game wanted to give you a new arsenal of weapons.